Visual presentations are an important part of public communicating, as one visual slide can tell more than a thousand words. 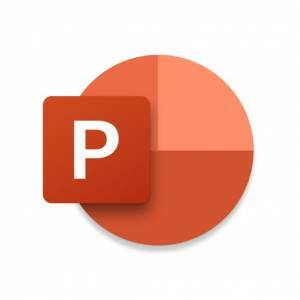 With Microsoft PowerPoint for iOS, you can create presentations right on your iPhone or iPad. In order to use PowerPoint on your mobile device, you need to log in with your Microsoft account. It doesn’t oblige you to purchase Office365 subscription, unless you use it with iPad Pro 10.5 or larger, due to hardware restrictions. Files on your OneDrive will be available. While running your presentation, you can use your Apple Watch as a remote control, with iPhone broadcasting the presentation to Apple TV. It shows previews of the current slide and the control elements, and that’s enough to control it. PowerPoint for iOS lets you open, create, edit and save presentations like it does on any platform. It can store files both locally and extract them from your OneDrive account or other connected clouds. To create a presentation on your device, you can start from scratch or use any of the various templates provided in excess. Any of them grants your presentation will follow the same style throughout. For any slide, you can add text fields, lists, pictures, graphic elements, embed video and audio files. Text formatting includes selecting fonts, size, using markers, applying WordArt elements and so on. The options are not as rich as in desktop versions, but it’s quite enough to create a basic presentation or to make a draft for further refining. The app offers lots of sharing abilities, including team work, collaborative editing or chat over each particular slide. This is essential if your team works remotely and communicates online. When one of the team contributes, the others are notified about changes made in a shared presentation or a new one they have rights to edit. Microsoft Office Mobile is closely bound to Office365 subscription, offering cloud storage, collaborative work, and other necessary office features. So the security of your documents depends on security of your Office365 account. It’s quite good and decent if you generate a reliable password and change it periodically. As for your iOS device, you can use biometrical authentication to log in, with no necessity to authenticate manually. If you conduct lots of public activities and write down your ideas on the go, PowerPoint for iOS is the tool you’ll make a great use of. Almost as powerful as a desktop version and fully compatible with it via OneDrive, it’s a necessary tool if your activity requires presentations at all. Not being the only presentation-making app, it offers granted compatibility with most office suites or special viewers. Has enough features to create a basic presentation on the go. Running a presentation with iOS may require a full set of devices.